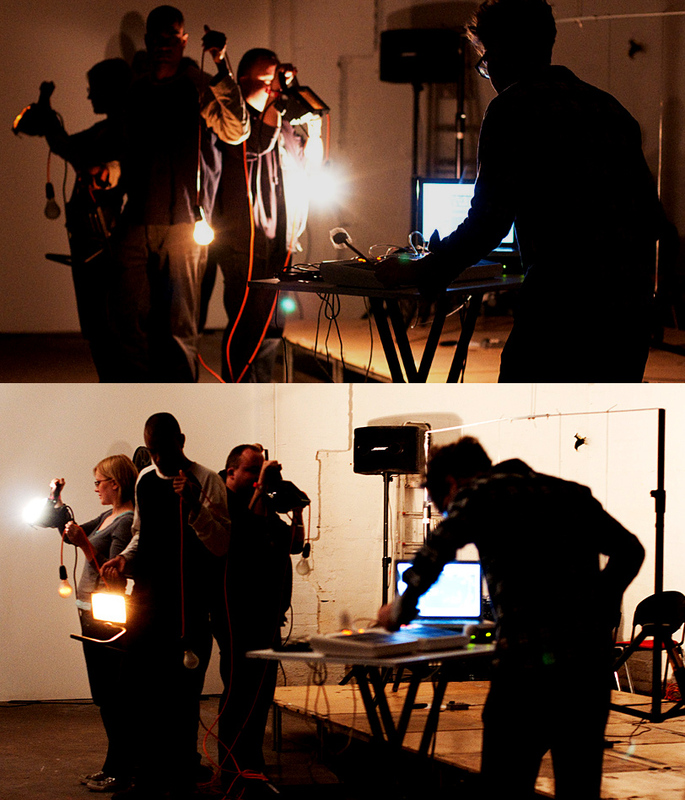 Lärmlicht #1, performed to and with a keen, full house at VIVID gallery in Digbeth, east Birmingham, as part of the super really good Supersonic Festival, organized by Capsule. Your heroes Dosh and King Midas Sound headlined. Mr. Underwood, also with the help of the aujunce, played a very neat rethinking of Reich’s Pendulum Music, with swinging torches and light sensors. Tipped hats and warmest gratitudes to Laura Coult and VIVID who set the whole thing up, to Jonathan Green for the technicals, to Boozo Bisto for the photo, and to M. Snape, who rescued everything from the jaws of oblivion.